We've partnered with the ﻿AmeriCorps*VISTA Program﻿, to advance our mission to improve child, family and community health in the greater Sacramento region. VISTA Members in our organization are charged with building capacity within our organization and between us and our community partners. At this time VISTA members are assigned to strengthening our Resource Desk Program. Serving as a VISTA member with CHPT is an excellent experience for individuals looking to apply to medical school or other graduate programs. For the truly dedicated VISTA who goes above-and-beyond, this experience may also yield great letters of recommendation! My name is Mitchell Haverty, and over the coming year I will be working with CHPT as an Americorps*VISTA. Having grown up in Lawrence, Kansas, I graduated from the University of Kansas in 2012 with a degree in Linguistics and went on to the University of Michigan, from which I received my M.A. in Near Eastern Studies with a concentration in the Arabic language in 2014. My academic experience has imbued me with a deep appreciation for the values of diversity and cultural awareness. In addition to my experience in academia, I have long held a passion for social justice and a desire to help facilitate change at a grassroots level. I believe that VISTA holds the potential to enact this change, and that CHPT has the potential to bring help to those who need it most. For these reasons I am excited to be a part of this organization and to improve the quality of life for residents of the city I have come to call home. Outside of my work with VISTA, I enjoy listening to, writing about, and discussing music, from the top of the charts to the depths of obscurity. I also spend time reading, studying new languages, and staying politically aware and active. My name is Jefflyne Fitts, and my year with CHPT will be dedicated to supporting the resource desk at the Oak Park Community Health Center as well as ensuring a sustainable plan for growth of the project to other areas in the Sacramento Valley. I was born and raised in Bakersfield, California. In May 2015, I graduated from the University of California Merced with a degree in both Political Science and Sociology. My desire to serve stems from not only the numerous experiences throughout my life that have made me aware of the disparities between and within communities but also my aspiration to be involved in an organization that has a direct impact on the public. I chose this VISTA project specifically because of the community it serves and because I am interested in learning more about the nonprofit landscape in Sacramento. I am very grateful for the opportunity to serve in such a diverse city. I cannot wait to no only become immersed in the Oak Park community but also see what else Sacramento has to offer! My name is David Kaiser-Jones, and my VISTA year of service will be dedicated to supporting and expanding CHPT's resource desk at the Oak Park Community Health Center. I was born in Newark, Delaware and raised in Columbia, Maryland. In May 2014 I graduated from the University of Pennsylvania with a major in biology and a minor in music. My inspiration to serve stems from anti-poverty work alongside VISTAs during my time at Penn. At a community resource center in North Philadelphia, I learned the value of a support system that is both personal and comprehensive. My attraction to CHPT and the resource desk project comes at the intersection of experience in health research and community organizing. In the coming year I aim to fuel my caffeine addiction across Sacramento, to embed myself as wholly as possible into the Oak Park community, and to mobilize others to serve. 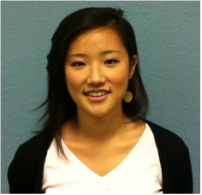 My name is Sengyeon Lee, and I am serving as an AmeriCorps VISTA with the CHPT partners at Tahoe/Colonial Collaborative and River Oak Family Resource Center . I was born in South Korea, but I moved to the United States when I was young and have lived in State College, Pennsylvania, and Milwaukee, Wisconsin. I am a recent graduate of the University of Chicago, with a major in Comparative Human Development and a minor in Spanish. My academic research was in the field of medical anthropology, and specifically, I examined the experiences of pain of newly diagnosed pediatric cancer patients. My interest in service and health disparities was sparked by my work with patients on the South Side of Chicago during my college years. I am very excited to learn about and explore Sacramento, as well as support and continue to build the many partnerships that exist in the community. 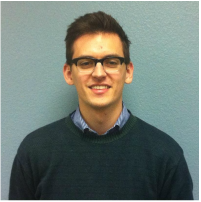 My name is Pete Schoen and I'm going to be doing my Americorps VISTA term of service with CHPT in Rancho Cordova. 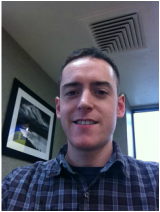 I am a recent graduate of SUNY Geneseo in upstate New York with a BA in Psychology and a minor in Biology. My studies and travels have really given me an appreciation for wellness and whole body health and I'm excited for the opportunity to help teach UC Davis physicians about community health and of course to help strengthen the community of Rancho Cordova. My future goals are to be involved in health and wellness. I chose this VISTA assignment with the hope that I can grow and become more dynamic as a person, as well as realize what exactly my future path in health will be. In my free time I like to be as active as possible, I like to hike, bike, snowboard, and play any type of sport. You also may find me searching farmer's markets for delicious fresh food to cook with. I'm excited to explore Northern California in my time with CHPT and I'm grateful for the opportunity to serve here. Hello! My name is Stephen Christy and I will be serving as an AmeriCorps*VISTA (Volunteers in Service to America) in the Communities & Health Professionals Together partnership with the Tahoe/Colonial Collaborative. I am from Portland, Oregon. I graduated from Oregon State University in Corvallis, Oregon with a Bachelor of Science in Chemistry and Bachelor of Arts in German. I have always had an interest in the diverse field of public health and I like that it has both research and administrative components. I am excited to learn about community advocacy, the social determinants of health, and capacity building. I look forward to working with the UC Davis pediatric residents and to develop projects to serve the Sacramento community. After my year of service I would like to go to grad school and/or join the Peace Corps. Hi! 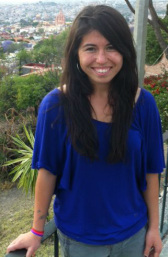 My name is Kiera Coulter, and I will be doing my AmeriCorps VISTA term of service with CHPT in Rancho Cordova. I am a recent graduate of Macalester College in St. Paul, Minneosta, majoring in International Studies and minoring in Hispanic Studies and Political Science. Through my course of study I became very interested in community development, especially as it pertains to immigrant communities. The inherent diversity of Rancho Cordova provides a wonderful opportunity to pursue this interest. My future goal is to get into a dual degree program for Public Health and Latin American Studies, and I know that my experiences with CHPT will equip me with a better fundamental knowledge of health in underserved populations. I'm excited to work with the incredible resident physicians of UC Davis, and to create relationships within the Rancho Cordova community! Hello, my name is Jamie Ports and I am beginning my Americorps*VISTA assignment with Communities & Health Professionals Together, working in Marysville, California with Harmony Health Family Resource Center. I am from San Diego, California and graduated from San Diego State University in 2009 with a Bachelor of Science degree in Biology. My passions often revolve around assisting others. My ultimate goal is to obtain a Dual-Masters in Public Health and Physician Assistant in order to combat health issues on a public and global front. I am in the process of applying to graduate school. I have just recently returned from Malawi, Africa where I was serving as a Peace Corps Health Volunteer. During my two year employment with Peace Corps, I was stationed at a health clinic in a rural village and worked with the community to improve health and living conditions, and create greater awareness of cultural and social barriers to health. I am hoping that my VISTA service will enhance my understanding on how community health is affected in an underserved population. I am thankful to be invited into Marysville to work for a year and know that the community will help me to grow and learn. I also look forward to exploring what the Sacramento region has to offer and plan on pursuing some of my favorite hobbies such as hiking, biking, and camping in the next year. My name is Sarah Kensky and I am beginning my assignment as an AmeriCorps*VISTA with the Communities & Health Professionals Together (CHPT) partnership in the Tahoe/Colonial community in south Sacramento, California. Having been born and raised in Sacramento, I recently returned home from San Luis Obispo where I completed my undergraduate education at Cal Poly. Because I grew up not too far from my site, I am very motivated to learn more about and hopefully give back to a city that has supported me for many years. My undergraduate degree is in Social Sciences. My experience with community service in high school and college sparked my interest and desire to continue service after school. I chose AmeriCorps*VISTA with the hope that I could aid in building capacity in an underserved community, in addition to gaining personal skills and life experiences. Working along with CHPT, I look forward to being exposed to many different people and projects that will help me in not only discovering myself, but a career in healthcare as well. 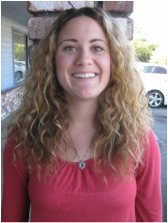 My name is Maura Reilly, I am the Communities & Health Professionals Together AmeriCorps*VISTA working in Rancho Cordova. I was born in Bremerhaven, Germany and grew up in several exotic locales including Alabama and California's Central Valley. I have a BA in Psychology and Sociology from UC Davis and a Master of Public Health from San Diego State University. Prior to starting my VISTA service, I spent three years in public health research. My research focused on obesity, physical activity and health outcomes in the Latino population in the border communities of San Diego. I became a VISTA for the opportunity to work with communities to address health inequalities. I am excited to have the chance to develop new partnerships, gain additional skills and professional experience. As a VISTA, I will work under the guidance of the Cordova Community Collaborative to assist UC Davis Pediatric and Family & Community Medicine residents to implement projects that promote health, well-being, and improved quality of life for residents of Rancho Cordova. After my year of service I plan to continue working in public health, either for a research institution or non-profit group. My ideal job would combine research with health advocacy efforts. I am also considering a future return to school for a PhD in public health policy. Greetings! My name is Eric Murakami and I will be working as an Americorps*VISTA in Marysville, California with Harmony Health Family Resource Center. I grew up in the Salt Lake City, Utah area and enjoyed all kinds of outdoor activities, including biking, skiing, hiking, and camping. One of my greatest passions is gardening and cooking with the fresh ingredients! I also enjoy a full range of sports and I am always looking for a game of pickup basketball. I attended the University of Utah and graduated with a Bachelor degree in Biology. I have worked for the past three years as a research tech looking at tropical plant defense chemistry. It was fantastic! However, I joined AC*VISTA because I know I have lived a privileged life and wanted to give back to an underserved community. I know working as a VISTA will provide me with community building skills, life experiences, and knowledge that I could not replicate. CHPT is the perfect program for me as a VISTA because I aspire to become a physician and I will be able to view both the resident life and the importance of community building. Hello! My name is Aaronica Jackson. I was born in Wurzberg, Germany, however I have grown up in Minnesota. I have a certificate in Community Health, which I hope to turn into a bachelors degree in the next couple of years. I got my first taste of service when I was 18 and I started working with the National Youth Leadership Council (NYLC), in their Youth Development department. I worked as a group leader with NYLC's summer program teaching high school students how to build their communities through service-learning for four years. From there I volunteered as a Youth Advisory Council mentor, working with high school students doing service-learning in the Minneapolis/St. Paul area. My first experience with AmeriCorps was in San Jose, Claifornia, where I committed myself to a year of service with City Year. 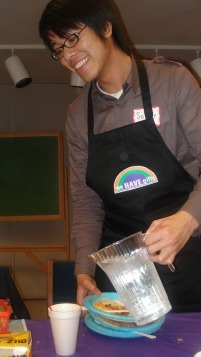 It was my first time working with elementary-aged children in a school setting (so it had the potential for disaster!) but my year there was amazingly awesome. Currently I am an AmeriCorps*VISTA with the Communities & Health Professionals Together partnership, working in the Tahoe/Colonial community in south Sacramento, California. I am really excited to work for an organization that puts family and community first, and am super pumped about meeting and getting to know everyone. Hi! I am Stacey Droll, an Americorps*VISTA (Volunteer In Service To America) working with the Communities & Health Professionals Together Project in Rancho Cordova. I began her year of service in December 2008. I graduated in May 2008 from Benedictine University at Springfield College in Illinois with a Bachelor’s degree in Psychology, and a minor in Criminal Justice, and now work under the supervision of the Director of Family Support Services for Folsom Cordova Unified School District, and is attached to the Cordova Community Collaborative. I chose to become a VISTA to satisfy my undying passion to help people and my strong desire to make a difference in the world, whether with one person or across an entire community. I am also excited about the opportunity to develop new skills and deepen my professional experience across a broad spectrum of tasks. During my term of service, I will be working with physicians from the UC Davis Medical School’s Pediatric and Family Practice Residency Programs. Under the guidance of the Cordova Community Collaborative, I will assist the doctors to identify and implement projects that promote better health and well-being, and an enhanced quality of life for the residents of Rancho Cordova and the region. Following my year of domestic service as a VISTA, I am planning to join the Peace Corps for an international service experience. Ultimately, I plan to pursue a Master’s degree in Social Work. Greetings! I am Jan Wells, a VISTA volunteer at the Tahoe/Colonial Collaborative. My family moved from Oregon to Yreka, CA when I was a pre-teen; it was a wonderful place to grow up, especially because of the natural resources and outdoor recreation. Living in a small rural community taught me the importance of community early on. At age 11, my mother volunteered me to help with a recreation program with handicapped children and a community volunteer was born. I have worked as a secretary/administrative assistant in the fields of veterinary and human medicine and as a legal secretary. A good deal of my education has focused on these areas. Through high school, higher education and on into professional life, the ability to use my training, skills and education to help people has been a continuing focus. As a VISTA volunteer, my first term was served at 2 Community Resource Centers in the Yreka, CA area, where I helped in the planning and development of infrastructure for community events and programs and assisted with grant-writing. In serving my second term with Tahoe/Colonial Collaborative and Communities & Health Professionals Together, I look forward to meeting new folks and putting my energies into enhancing the programs and services offered in this area and exploring new ways to serve the community. I believe that offering programs that encourage participation strengthen communities and it will be a pleasure to work to make that happen! My name is Johnny Chew, although I have been nicknamed Juanito by this communtiy. I grew up in Oakland, California. My parents immigrated here about twenty five years ago. I spent a lot of my time as a kid roaming my little, but mysterous, backyard. Every piece of wood or brick I lifted up would have many insects racing away from the sunlight (and my cup). I guess that was how I became interested in science. I majored in biology at UC Davis. I loved that major because it allowed me to see a spectrum of all the majors topics in biology. I enjoy going whale watching in Monterey Bay, California. I also like to play tennis. 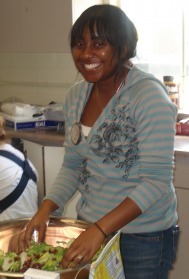 After I graduated, I became an Americorps VISTA Volunteer. As a VISTA Volunteer, I have been trying to estalish a Health Care Consumer Advisory Council to project the voices of the underserved in our community and to guide pediatric resident physicians with their community health projects so that they're tailored to a specific need. With the pediatric residents and communtiy working together, our efforts will help children in our community grow up safe and healthy. I've attended many community events to build relationships with community members. It isn't easy though, but there are always tons of community building, leadership training, and advocacy workshops to attend. Here, you can even become connected with local leaders. I've had a great time in the Tahoe/Colonial community and hope the next VISTA Volunteer will see the unique aspects of this community. I was raised in Anoka, Minnesota about 20 minutes west of St. Paul. I graduated from a liberal arts college in the middle of Minnesota in May with a major in sociology and a minor in biology. I decided to join VISTA because I was looking for an adventure. VISTA gave me a chance to move away from Minnesota for a year and get some experience in the health field. At the end of my year I will return to Minnesota to begin a Physician Assistant program in Minneapolis. As a VISTA I am working to help create a health council in the midtown area. For the first year of this project that mainly means I work on creating relationships with other members in the community. This involves going to as many community meetings and community events as possible. I also work with the residents from CHPT. That includes walking around the neighborhood with them, helping them plan projects and helping them execute their projects. I also work on grants and have learned a lot about community work and working with others. I was raised in a suburb of Cleveland, Ohio along Lake Erie. I graduated from Spelman College in Atlanta, Georgia with a major in mathematics and a minor in economics in 2006. Shortly after, I decided to obtain a graduate degree in economics. I decided to join VISTA before graduate school to take a break from the world of physical sciences while doing something that helps me grow professionally and personally. At the end of my year, I will be attending Illinois State University as a participant in the Masert's International program. The program includes a Master's degree in Applied Economics combined with a term of service in the Peace Corps. As a VISTA of the Cordova Community Collaborative (CCC), I am working to create a health-focused group in Rancho Cordova and enhance the health related programs and services of the Folsom Cordova Community Partnership. The health group will be a workgroup of the CCC and incorporate its current members and other healthcare consumers. The second main function of my job is to make CHPT known in the community and build relationships. A third main responsibility is resource development around health, which can include grants and donations, among other things.